Check out these North Texas-connected tomes about basketball and other things, basketball, and other things. Shea Serrano, the former Houston schoolteacher turned internet cult hero, has a particular gift for treating serious subjects with the casualness of a lake dad and nonserious subjects with the care of a Talmudic scholar. It’s a style he used to great effect in 2015’s The Rap Year Book, which singled out the most important rap song for every year between 1979 and 2014. 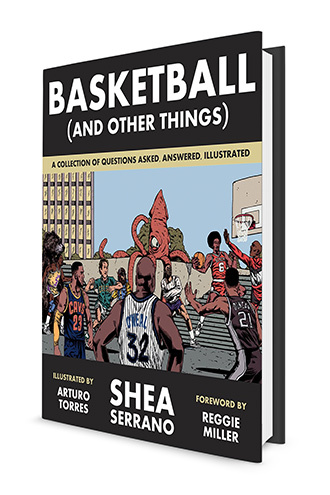 It works even better for this “collection of questions asked, answered, illustrated,” a blend of the legitimate (What Year Was Michael Jordan the Best Version of Michael Jordan?) and the very much not (If 1997 Karl Malone and a Bear Swapped Places for a Season, Who Would Be More Successful?). As with its predecessor, the wild ideas in B(AOT) are brought to life by Dallas-based artist Arturo Torres. His straightforward yet whimsical drawings—Chauncey Billups and Rasheed Wallace at a Selena karaoke night? Sure, man—tie the entire concept together wonderfully. It all works, whether you prefer basketball or other things. As with her debut (last year’s A Fierce and Subtle Poison), Samantha Mabry’s new All the Wind in the World is a beautiful bit of magical realism that just so happens to also fall into the young adult category. But its status as a YA novel should not scare anyone away; hide the publisher’s name and you’d never know. 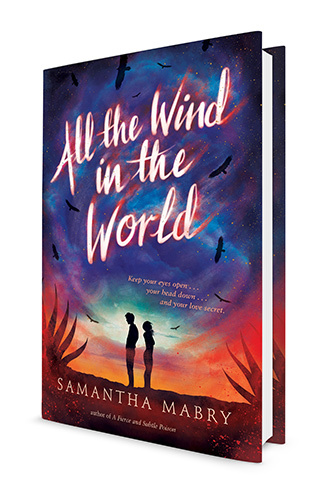 All the Wind in the World follows Sarah Jac and James, two secret young lovers on the run, forced onto a maybe-probably-cursed ranch after a wild accident that opens the book. Mabry, who teaches at El Centro College, delivers taut, electrifying sentences that you need to pay attention to, no matter where her books are shelved. 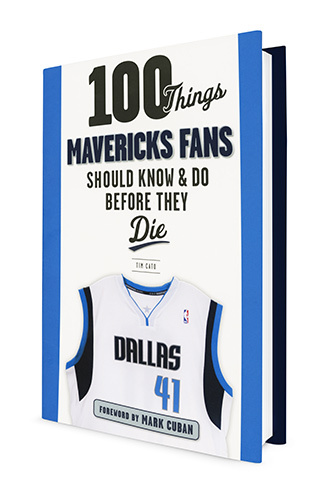 This slim-but-thorough guide to being a Mavericks fan is part to-do list, like the title says. But most of what SB Nation NBA writer Tim Cato does here is deliver a wonderful mix of broad and specific, looking at the franchise from a drone and through a microscope, giving new and longtime fans something to hold onto. You get Cato’s all-time positional rankings and remembrances of various milestone games, but also the team’s hip-hop connections and the best Dirk Nowitzki nicknames—and an oral history of the 24 hours after the 2011 NBA Finals, which falls somewhere in between.